Does you e-store still look amateur? Do you want to improve your website interface to make it more user-friendly? Does your digital shop look poor in comparison with rivals’ stores? All these questions often give business owners an intense pain. Fortunately, a real win-win solution exists, and its name is Shopify. This complete e-commerce service enables entrepreneurs to run web shops and grow their commerce projects within a short time. Let’s delve into this amazing opportunity for your business. As e-commerce has kicked into high gear for the last decade, more and more business owners opt for different platforms for building a scalable e-store. Many of them – from mid-sized businesses to multi-million dollar entrepreneurs – choose particularly Shopify to sell their products or services. According to Shopify statistics (source: shopifyandyou.com), there are more than 800,000 businesses using this application throughout the world. Two years ago (in April 2017) there were reported about 1mln active users on the platform. The past year brought more than $1bn of global revenue showing a 59% increase in comparison with the previous year (in 2017, the total revenue amounted to $673/3 mln). Just imagine, the last Black Friday Cyber Monday sales estimated over $1.5 bn. More importantly to mention that 66% of online orders were made from mobile devices. More and more people prefer using smartphones, tablets, iPhones to massive desktops. It gives them a chance to make a purchase on the go while they have some spare time. In a nutshell, Shopify is a handy way to combine simplicity with power. On the one hand, this software has very clear pricing plans and an intuitive interface to manage a store from anywhere. On the other hand, the web application offers a wide diversity of selling options and tools providing your customers with the first-rate shopping experience. This template can really leave a deep impression on the target users. In addition to a completely cutting-edge appearance and neutral background, the template allows an owner to grab shoppers’ attention, particularly on items. Multifly is stuffed with a fully customizable homepage which includes 15 sections jam-packed with all the needed components for running a solid store. Pay attention to the footer possibilities since it can be customized up to your preferences. It contains a handy subscription form, social media integration, and columns with multiple links which direct to all possible web pages on the site. If you open this theme on a mobile screen, you will see that it looks flawless. It means that its responsive design will help you increase your target audience coming from mobile devices and tablets. Shopy comes with lots of variables allowing you to enrich each and every page of your store. Moreover, with the template, you get a chance to reach to the top of SERPs with ease thanks to the SEO-friendly code. This multifunctional, sleek-looking theme will come in handy business owners of any niche. In addition to the existing 7 pre-designed stores, you can get more variants in the near future. The theme is constantly getting updates and upgrades. Now it offers wide customization options and setting variants to change colors, fonts, icons, etc. Make sure that SuitUp completely suits your requirements – just take a look at brilliant demos. With this fresh-faced, bright-colored, and fashion-related design, your beauty store will shine up on the web with ease. PUNSKY meets all the latest web trends and programming requirements. With this theme, you will have a valid semantic code, robust performance, and thought-out structure. What else do you need for a powerful web store? You can add Multilanguage support to the list. The feature allows you to spread your e-commerce throughout the world. To succeed in selling goods online, you need adequate products and outstanding website. The latter is ready especially for you since Fashion Girl theme is a win-win solution for establishing e-commerce. It contains widgets of all kinds, handy Ajax Cart, memorable Parallax effects, and many more needed for perfect website functioning. Shopify visual builder will simplify your work with sections and nurture your creativity. This trendy, polished Shopify theme will help you organize your visual content and display your apparel in a favorable manner. People love with eyes! When a shopper makes an online purchase, he relies only on item pictures and description. This theme has a number of widgets to make your products desired on the market. Moreover, there are all the necessary tools for filtering/sorting products that make the user experience on your site more pleasant and productive. You’re not a pro programmer or web designer, but there are multiple ideas for selling fashion goods in your head. Try Vanessa theme which gives unlimited possibilities for building a full-fledged shop even without coding skills. It’s easy to use, customize, and adapt to your business preferences. With rich widget support, you won’t have difficulty improving your site appearance and navigation. Lilu Fashion is what you need to increase sales and customer loyalty. It’s a good template stuffed with a bulk of sorting options, visually appealing tools for products displaying, and many more. You can create product carousel, arrange items into collections, present products with a slider, etc. To add, reorder, and remove any section, just make use of intuitive Shopify Visual builder. Muse includes 4 amazing ready-made sections that can be used for different fashion-related topics such as jewelry, apparent, handbags, etc. Visual builder will help you adjust pages to your business needs and personal requirements. As for main theme features, you will satisfy your shoppers with first-rated Ajax cart options, multilingual support, and social media buttons throughout the site. Besides, full responsiveness guarantees that your store will flow impeccably on any modern screen including mobile and tablets. 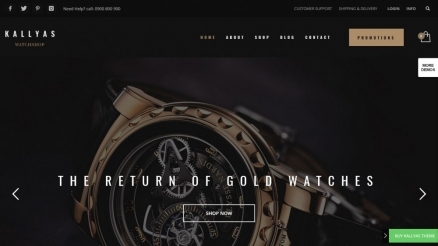 Look Style theme will help your e-commerce look incredibly modern, fresh, and sleek. The template covers multiple fashion/beauty topics. Its neutral background brilliantly underlines the uniqueness of products and grab shoppers’ attention to them at a glance, no doubt. In addition to the full-fledged homepage and products pages, the mockup offers a website owner an elegant blog layout. There are no boundaries for your e-commerce with Look Style. Julie knows how to make your fashion store look 100% stylish, attractive, and easy on the eye. Since fashion stores always are overwhelmed with a wide diversity of bright, eye-catching pictures depicting products, a neutral background is a must-have. Besides, there are lots of options that can be changed with a click depending on your preferences: colors, typography components, icons, etc. After a few clicks of installation, you will get access to the full package of tools for building a webshop and even more. A bag is a constant attribute of a complete woman’s look. Women spend a lot of time looking for a suitable handbag. For this reason, your fashion store has to look catchy yet function impeccably if you want to become a prosperous fashion retailer. Bags theme will satisfy even the most sophisticated shopper. The template is compatible with multiple currencies and languages, supports a number of filtering/sorting options, and has tons of other helpful options allowing you to run an efficient store. Like any good premium Shopify theme, Caps and Hats boasts a set of diverse options, add-ons, and web forms. Using a drop-down Mega menu enables you to create multiple categories to simplify website navigation. The template is built in accordance with a three-click rule, so your shoppers won’t have difficulty navigating through your store. Simplicity is a key principle of this template. Cute Kids is an excellent, smart, catchy Shopify theme based on the Ajax technology. It means that each and every element of the theme is always at hand throughout the website. It makes the website navigation extra comfortable. Shoppers won’t abandon a store offering such opprtunities. Black Label comes with an absolutely white background, well-crafted interface, and limitless possibilities to sale products online. There is a catchy social integration panel in the footer to keep your products promoted on major platforms. Moreover, there is a super comfy search box and product filters. To showcase items, featured products, and promote sales, make use of catchy slideshows, galleries, banners, and other tools intergrated in the theme. Fashion always strives for perfection. Shopify regularly updates its themes. These 15 premium themes prove that setting up a web shop is possible in a matter of several hours. Moreover, it’s affordable and accessible to a wide audience. If you have no programming skills, you also can run e-commerce by yourself with ease. Just try and ROI will invite you as soon as possible!